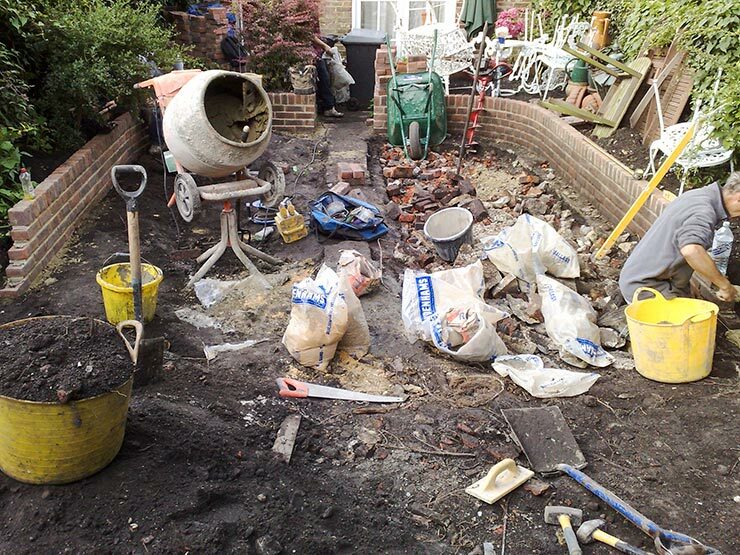 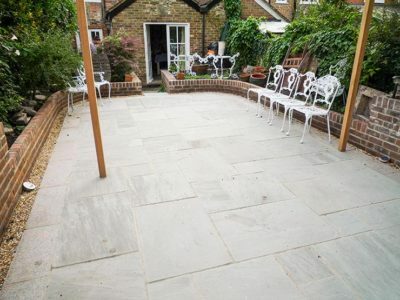 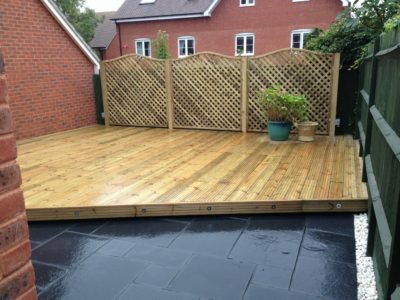 This is a patio that we built in Cannon Street Winchester. 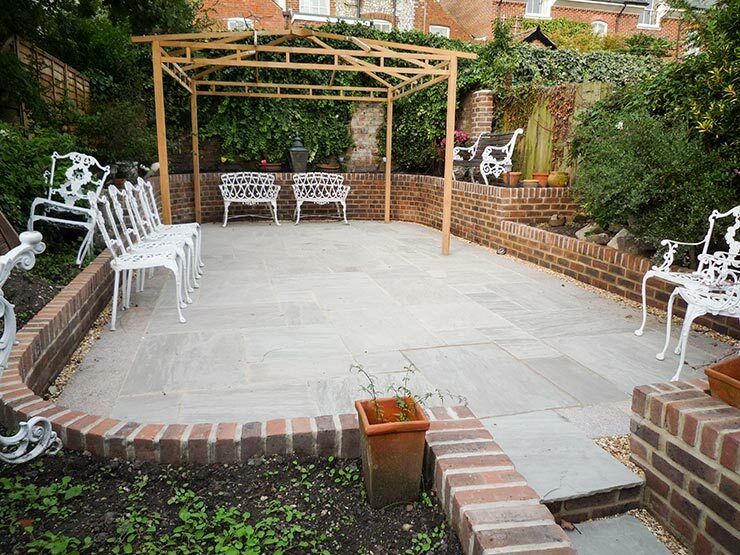 We incorporated a patio pack within a rounded wall, this maximised the space and transformed a muddy unused area into useful garden retreat. 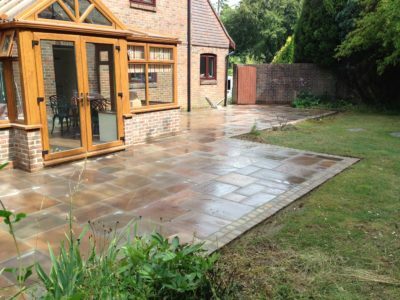 This was quite a challenging project as we had little space to work in and the only access was through the house. The flag stones are ‘Grey Fell’ natural Indian Sandstone.